Britain’s ruling party Conservative Party in-spite of garnering the largest force in parliament, still is short its majority in Thursday’s general election. Mostly all the ballots have been counted, 646 of the 650 seats have been decided.The ruling conservative won 315, the opposition Labour Party won 261. Regional the Scottish National Party secured 35 seats and the Liberal Democrats have 12.Nicola Sturgeon admits to ‘disappointing losses’ and vows to ‘reflect’ on the issue of a second referendum. The Conservatives suffered a sharp drop from their pre-election total of 330 seats. Majority stands in parliament with number 326 seats are needed . This is the third British election with no clear winner since the end of World War Two.The Conservative Party will now consider whether to form a coalition. 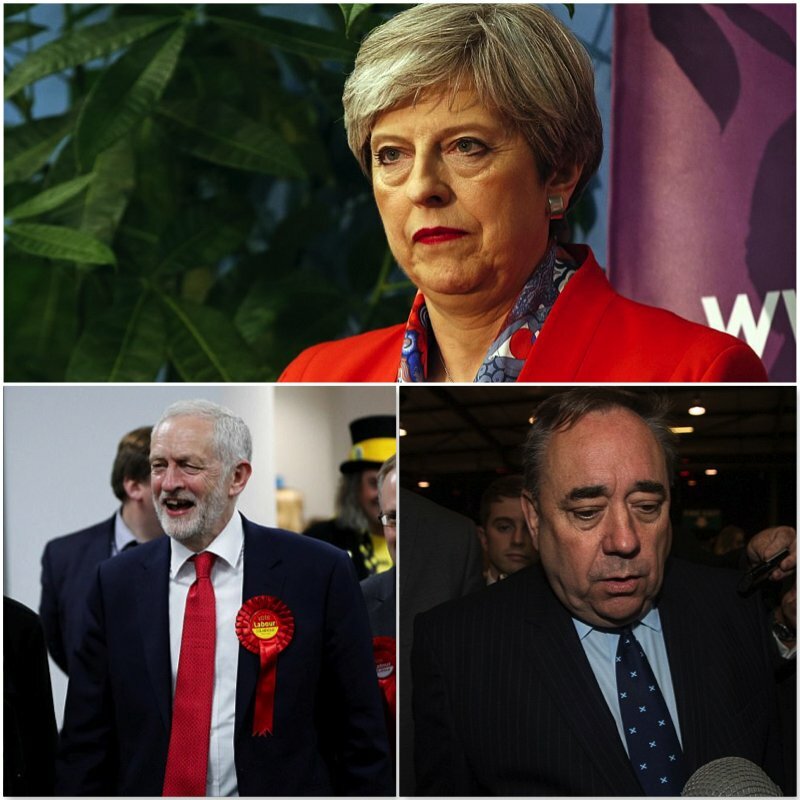 The party’s poor performance is expected to heighten criticism of Prime Minister Theresa May for her decision to call a snap general election. Theresa May faced pressure to resign on Friday after losing her parliamentary majority, plunging the country into uncertainty as Brexit talks loom. May called the snap election in April in an attempt to extend her majority and strengthen her position, but her gamble backfired spectacularly after she failed to win enough seats to form a Conservative government. Sterling sank against the dollar and the euro as investors questioned who was now going to control the Brexit process. EU Economy Commissioner Pierre Moscovici said May had “lost her bet”, while the timetable for Brexit talks, due to begin in 10 days time, has been thrown into disarray, raising suggestions that it could be extended. She also faced pressure to quit from inside and outside her party after a troubled campaign overshadowed by two terror attacks, although British media quoted party sources saying she had “no intention” of doing so. The result is also likely to have an impact on Britain’s negotiations to leave the European Union.